IO Practiceware is an integrated Electronic Medical Records (EMR) Software and Practice Management (PM) software designed to cater to the needs of ophthalmic practices. The system has been adopted by over 250 ophthalmologists since its development and boasts of 100% implementation success rate. 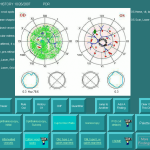 IO Practiceware was designed keeping in view the needs of practicing ophthalmologists and with the aim of increasing the speed with which the software is to be used. IO Practiceware’s features a touchscreen interface and comes with large buttons. This unique combination is much faster than a keyboard and a mouse. 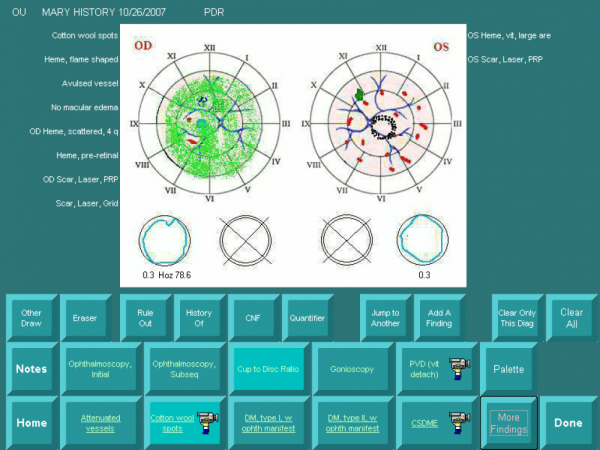 The software further allows ophthalmologists to input data via a drawing feature, using the touchscreen like a canvas to records observations as visual information. 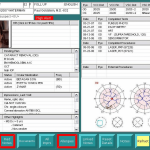 The intelligent software interprets the entered visual information and then translates it into other clinical fields. This eliminates the redundant data entry process and saves precious time. 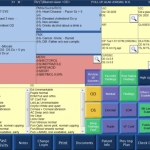 This format of data entry further eliminates drop down menus and saves time recording notes. This EHR also automates coding, referral letters and clinical follow-ups. This Health IT solution is fully compliant with HIPAA regulations and is certified as a complete EHR system that meets Meaningful Use stage 1 and stage 2 requirements. 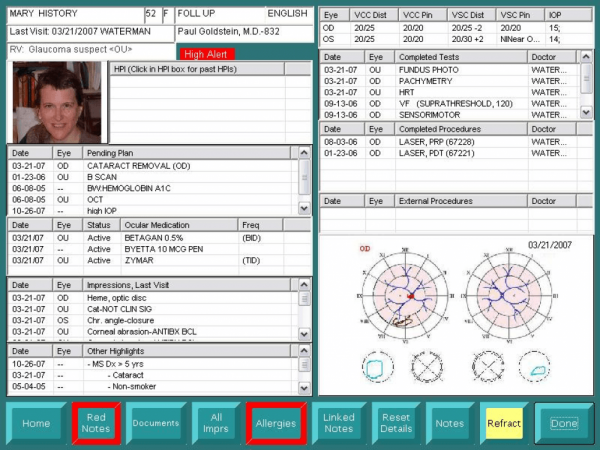 The development team at iO Practiceware developed this product to maximize workflow in an ophthalmology setting. 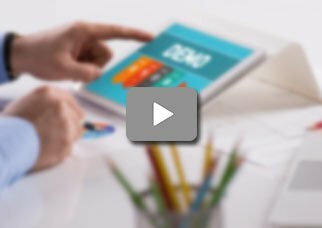 IO Practiceware has a user-friendly and intuitive interface which can be customized to display critical information on screens. There is also a “Highlights??? 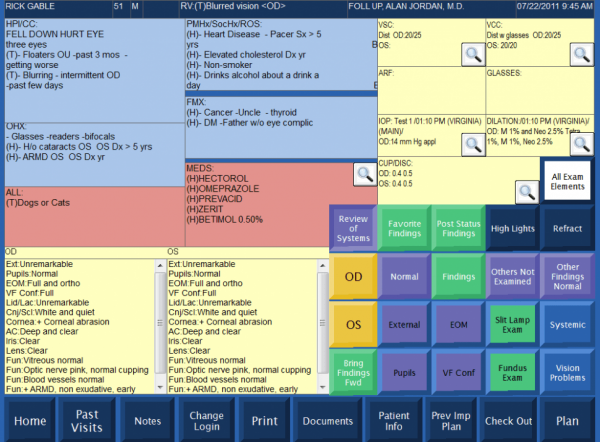 screen feature that provides convenient access to important events and diagnosis of patient’s history. This health IT system can easily integrate with test equipment and records medical results at the single click of a button. The scheduling tool of this system works across multiple locations and has the ability of automatically confirming follow ups and letting patients make their own appointments through online means. The system also features a scheduling grid that gives physicians the ability to input important instructions directly from the examination room to be reiterated at check out.